French Satellite TV is available here from. Furthermore you can view it via 3 platforms; TNT Sat, Fransat or BIS. TNT Sat and Fransat offer similar services. However these are from different satellites. 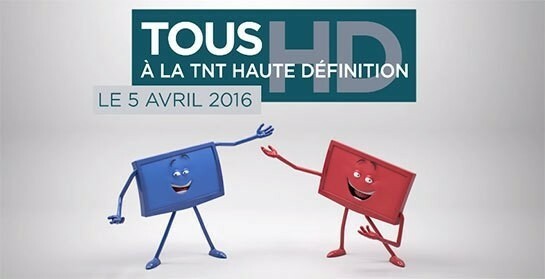 HD channels covered include TF1, M6, France 2 and Arte. However there are also many other HD Channels and Radio Stations on offer. TNT Sat transmits from Astra at 19 Degrees east and the cards are valid for a minimum period of 4 years. Whereas Fransat is on Atlantic Bird 5 Degrees West and their cards have no expiry date. The vast majority of programming is in French. However any non French material will almost certainly be dubbed. French satellite tv is easily received in UK using equipment from us. Furthermore a dish of 60cm is recommended for most regions except Scotland and Northern Ireland where a slightly larger dish may be required. In 2016 French Satellite TV viewers were informed that all old style MPEG-2 transmissions were going to be switched off. Furthermore all transmissions would then be MPEG-4 and High Definition from 5th April 2016.